There's no shortage of advice columns and self-help books on achieving personal and professional balance, but AT&T's Anne Chow says all the buzz about work-life balance is bogus. As president of national business at AT&T Business, Anne Chow leads a team of over 11,000 employees working with AT&T's small and midsized business customers in the US. Chow says success -- both personal and in professional -- is achieved not by focusing on balance, but by setting priorities around the individual's concept of success. Top on the list of Chow's priorities is encouraging women and girls to pursue careers in STEM. Her focus on promoting STEM education is both internal as a founding member of AT&T University's governing board, and external as an active supporter of Girls Who Code and the Boys & Girls Clubs of America. Anne Chow's career in the telecom industry spans over two decades, and Chow has held a number of leadership positions in roles including engineering, marketing, sales, product management, international operations, strategic planning, and more. Read on to learn more about Chow's leadership philosophy, approach to navigating business transformations, and why she thinks more women should pursue senior level positions with P&L responsibility. Women in Comms: What is the biggest lesson(s) you've learned over the course of your career as it relates to leading diverse organizations through major transformations? 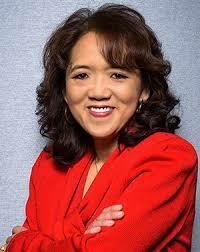 Anne Chow: I truly believe that in life -- including in business -- it's all about relationships. It's incumbent upon each of us to seek and foster meaningful ones. Relationships that you build over time, person-by-person, with focus, interest and energy are those that stand the test of time and transformation. Cast your net wide to encompass colleagues, customers, partners, those in your community and, of course, friends and family. The best way to grow is through the support and understanding we gain from our relationships and the experiences we share with the people in our lives. Importantly, in the context of major organizational transformation, it's imperative to have the right people in the right roles at the right time to be successful. WiC: What is your leadership philosophy? AC: I believe that it's my calling and responsibility to support others to develop and grow, helping them to unleash their greatness, whatever that may be. I believe that everyone has their own unique greatness within. I feel strongly that wisdom and insight can come from anywhere, from anyone, at any time. This is why I put enormous value on diversity, inclusion and authenticity. Every one of us has something special to offer. When we come together -- as wonderfully different as we are -- magic can, and oftentimes does, happen. I'm known for having a passion for people and for consistently delivering excellence. My bar is set high, not only for myself, but for every member of my team and for my teams as a whole. The role of a leader is to help their teams -- both as individuals as well as a collective group -- achieve and surpass their goals. 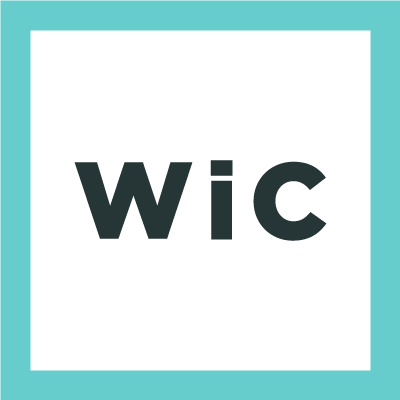 WiC: How do you make diversity and inclusion a priority in your work with SMBs? AC: Minority and women small business owners can often face more challenges, from finding funding to access to advisers and mentors. I'm fortunate to work for a company that fully embraces diversity across our workforce, suppliers, communities and the markets we serve. But I know all business leaders aren't so fortunate. Small businesses are the heart of America. For these business owners -- this is their passion -- their life. They wouldn't be going into business if it wasn't something they truly believed in. It's not just a profession. We're talking about their livelihoods. If their businesses fail because technology fails, it can be life-altering for them in more ways than one. The millions of small businesses that my organization serves are diverse by definition. This is why I work to foster a culture of inclusiveness within my organization; and because I have a passion for helping these small businesses grow. At AT&T, we wholeheartedly believe that we must embrace and reflect the markets where we live, work and play. It isn't just business. It's personal. If they succeed, we succeed. With a strong background in sales and management one would assume she would take much from that training over many years, emphasizing relationships, hard work, etc. as that's what's necessary to succeed in sales, and driving employees to greater sales and profits for the company. Downplaying work-like balance is not something sales folks necessary are so good at nor recommend. The nature of the high speed, multifaceted industrial/technological/cultural/relationship/organizational revolution happening now requires creativity, diversity, honesty and fresh acknowledgement of paradigmns buried in old cliches and commitment to progress in open mindedness. Thank you Ann for a powerful message and call to true leadership from us all demonstrated in authentic and meaningful relationship(s). Thank you, the truth takes courage. This was a great interview!! Ann Chow was an excellent choice. She seems to have a good understanding of people and what motivates them.